About Shoe Finale: Shoefinale.com is mainly aimed at people who are searching for a special type of shoe in mind, whether it be athletic footwear, Zumba shoes, bunions, or for flat feet, that’s the gist of things I write about. Within these pages you can browse through and see the specialist advice, reviews and buying guides for all the things you don’t find on the mainstream retailers. I hope my website provides you with all the information you require; your search for the right shoes will hopefully “finale” here. Read more About Us here! 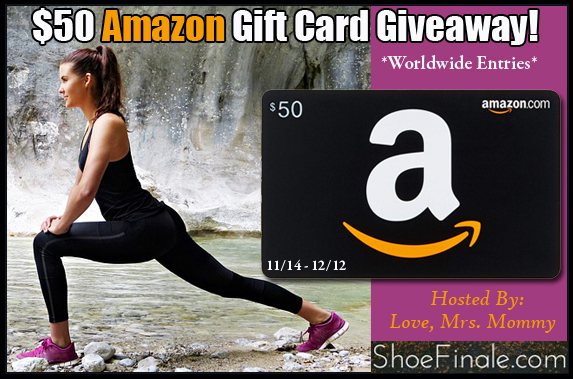 Winner Will Receive: a $50 Amazon Gift Card!